There are now over 1000 altcoins, many of which have fallen through the grates of the internet streets, never to return. Financially, Namecoin has been outpaced by most of the popular coins in the world of cryptocurrency, although it has not completely faded from view. However, as a political tool and a bastion of free speech, Namecoin is an incredible and important piece of technology. Created in 2011, Namecoin is the first “fork” of Bitcoin (meaning that Namecoin operates on the same code Bitcoin does, but with a separate blockchain). Like Bitcoin, Namecoin has 21 million coins in circulation. Unlike Bitcoin, Namecoin was given the added feature of allowing users to store identity information within its blocks; that information could be personal information, or it could be a digital identity, such as an email address or a website address. The information is stored in the form of key/value pairs. Users who are looking for a secure and protected coin should consider Namecoin as a strong option. Namecoin has been named by experts as one of the most secure cryptocurrencies in existence. This is because there are only two ways that any entity could compromise the Namecoin network and the data inside of it. The first way would be to close down the operation of all internet providers. We all know that this is impossible without a significant global collapse, in which the attacking entity itself would likely be compromised. 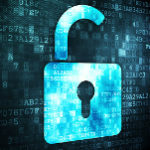 The second way that Namecoin could be somehow compromised is through a hacking attack. 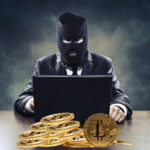 However, in order for that attack to be successful, hackers would have to have a larger capacity than all of the computers in the Namecoin network combined. Because Namecoin is so decentralized, each computer that makes up the network (called a “node”) would need to be attacked individually. This is also virtually impossible. For the same reason, Namecoin is impervious to political attack–any entity that may be aiming to somehow influence Namecoin will inevitably fail, because they would have to influence every single user on the Namecoin platform. All transactions are processed on a peer-to-peer network, and Namecoin has no centralized administration. Because of the peer-to-peer nature of Namecoin, all websites published with .bit extensions are also safe from seizure by government or other entities. When creating a .bit domain name, no personal information is required of you, so that no entity can obtain any information that can be used against you as the holder of Namecoin or a .bit domain name. Additionally, each .bit domain name comes with a private key that must be kept in “cold storage”, which is to say that a physical, paper copy of the key must be kept safe somewhere in the physical world. For this reason, there is a huge advantage is using .bit domain names to publish any sort of information on the internet, but the Namecoin blockchain is a particularly excellent resource for activists or other entities who may be publishing information that, say, an authoritarian government would want to stifle. Through the Namecoin-based applications nmcontrol and ncdns, it is also possible to create your own private or public DNS. Your DNS can be privately shared with friends, or it can be used by other Namecoin users. Namecoin (.bit) addresses can also be used to create Bitcoin addresses that are more accessible and easier to remember than the typical Bitcoin address, which is a long string of randomly-generated characters. However, you must have a compatible wallet in order to be able to send Bitcoin to a .bit BTC address. Netki is a good resource for this; you can make such a transaction via the Netki website, or by downloading the Netki wallet. Website addresses are the most popular use of Namecoin, and the ones obtained through Namecoin are in the “.bit” domain name system. A .bit domain name can easily be purchased through the Namecoin wallet for .01 NMC. No one collects the fee; it gets used for the maintenance and creation of other decentralized public services. You must renew your domain name after 35,999 blocks, which usually takes between 200 and 250 days. Your domain name must be unique. One possible additional drawback of the .bit DNS is that most systems cannot open .bit domains without some manual adjustment. This is because .bit domains do not exist in the so-called “main zone” of the Internet Corporation for Assigned Names and Numbers (ICANN). One way to circumvent this issue is to add a proxy Domain Name System (DNS) extension at the end–for example, ‘my.bit.net’ or ‘my.bit.surf’. The okTurtles Foundation and zeroNET also provide resources for securely browsing .bit domains and all other domains. Namecoin’s block size is somewhere between 500kb and 1mb. 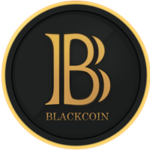 Therefore, a possible future issue may be scalability, although the number of transactions per second is low enough at the moment that the block size (<1mb) is acceptable. Also, because of this small block size, it is highly impractical to use Namecoin as a platform for large-scale applications or as a method of decentralized file storage. It is quite possible and practical to mine Namecoin without a mining rig. Namecoin was the first cryptocurrency to utilize merged mining, which allows for an individual miner to mine for two cryptocurrencies that are based on the same algorithm at once (for example, BTC and NMC, which both use the proof-of-work algorithm). Essentially, NMC is produced as a free byproduct of mining BTC. The benefits of merged mining include a more predictable block generation time and a decreased vulnerability to what is known as a 51% attack. Merged mining makes it so that a miner using merged mining increases the hash power of the lower-hash network by combining with the higher-hash network (this is how the NMC is produced as a by-product). There are several mining pools that offer merged mining, including BTC.com, BitMinter, BTCC Pool, and Eligius, to name a few. It is also possible to run your own merged mining pool using the software offered through Eloipool and p2pool. NMC is also available on Kraken, BTC-e, Kryptsy, Cryptonit, ExchangeMyCoins, Bter, Ripple Israel, 24Change, Vircurex, Lilion Transfer, CryptoTrade, Ebay, 247Exchange, Shapeshift, and CoinMKT. The Namecoin wallet, known as Namecoin Core Client, is available at the Namecoin website through GitHub. Namecoin Core Client is a GUI wallet with a command-line interface that can be used to register, track, update, and renew domain names. When used in combination with the ncdns or nmcontrol applications, it can be used to look up names. If you are using your wallet for anything besides just looking up names, you must first encrypt your wallet and then create a backup. The wallet is not suitable for mining or development. You cannot purchase Namecoin with the wallet; you will need to do that an exchange. The concept behind Namecoin was originally introduced in a Bitcointalk forum in 2010 in the form of a DNS system that was originally termed “BitDNS”. The discussion was based on a previous talk that had been had at IRC. As the discussion gained traction, Satoshi Nakamoto and Gavin Andresen chimed in to say that they supported the idea of a blockchain DNS, and a reward was offered to the person who could develop the code to implement the bitDNS fork. In the end, it went to Vinced (rumored to be Vincent Durham). Thus, Namecoin was born. Since then, a myriad of other developers have contributed various applications to the platform. Financially speaking, NMC has seen a few spikes, but overall, the value has stayed pretty consistently low. When it originally appeared, it was worth roughly $1.10USD. In January of 2014, it rocketed up to $8.71USD, but quickly shot back down. As these words are being written, it is worth $1.76USD, and there has been an overall upward trend over the last several months. Namecoin’s financial future is unclear. Its value has fluctuated significantly, and for being one of the older “altcoins” out there, its value doesn’t even compare to the rise of Ethereum or Monero, for example. On the other hand, the security that Namecoin offers may make it a good long-term investment. 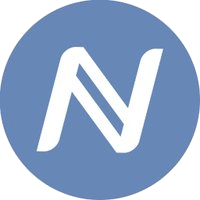 Additionally, Namecoin is available for trading on all of the major cryptocurrency exchanges, which certainly isn’t a bad sign. However, Namecoin as an institution of freedom from censorship and a stronghold of free speech is an extremely valuable resource that must not be taken for granted. Every purchase of a .bit domain is contributed to the maintenance and creation of other decentralized public services, which are growing ever more important in the turbulent environment of a rapidly-changing global political and economic scene. There is also talk of developing Namecoin applications that could be used for voting, bonds, stocks, shares, notary services, proof of existence, and file signatures. These would be implemented in future software upgrades to Namecoin’s blockchain.